Fans were overjoyed when The Hangover gang agreed to reunite for a third movie. 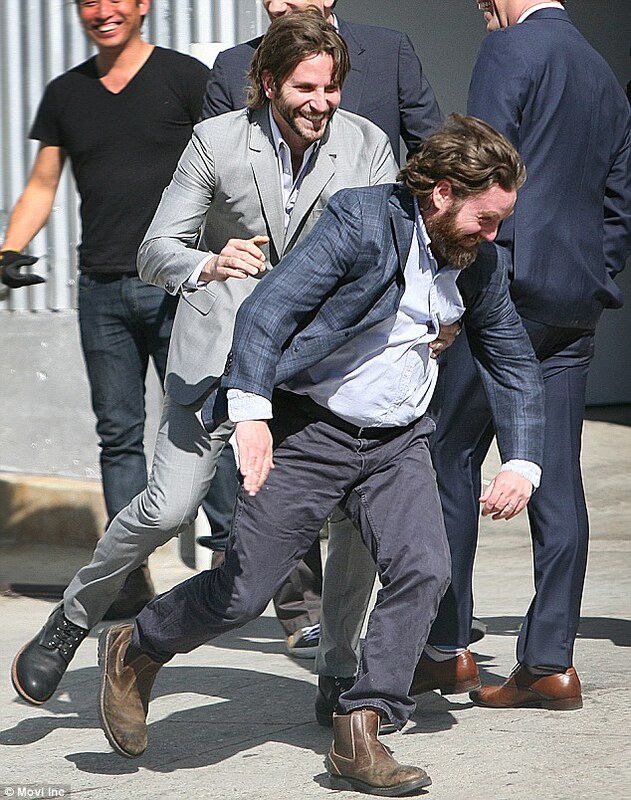 And it was just like old time as Bradley Cooper horsed around with co-star Zach Galifianakis ar a photoshoot for the movie in Hollywood. The latter will be the envy of women worldwide after he wrestled with the 2011 sexiest man alive award winner. The 43 year old also tried to look smart for the group photocall , and wore a dark taran suit jacket grey jeans and boots for the appointment. 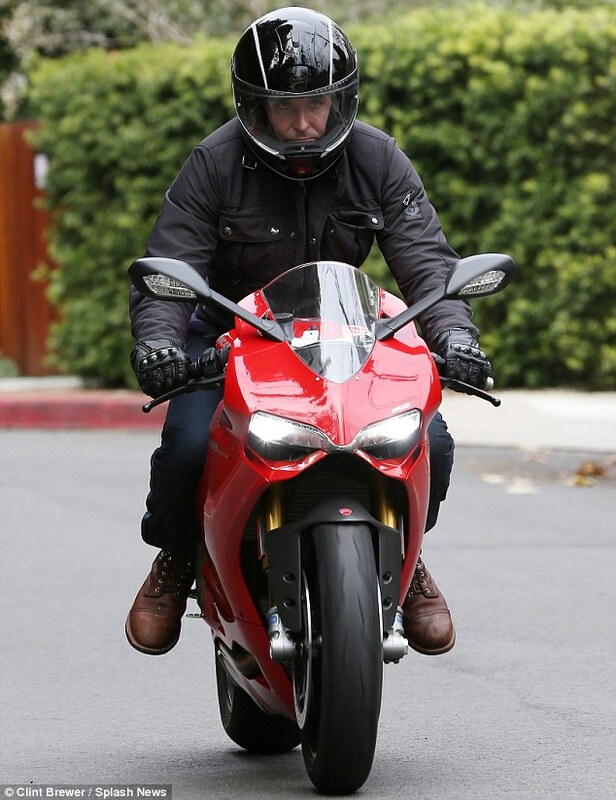 The A-team star was also seen taking his fancy red Ducati fro a spin in Los Angeles on tuesday. It was no surprise when studio bosses announced the third installment as Zach revealed that the third in it was already being planned when the second was release. He said that a storyline for another sequel had already been written despite fairly mixed reviews for the follow-up to the sleeper hit original. $571m off an $80m budget , despite awful reviews.